Tilley's Eco-AIRFLO certified organic cotton broad-brimmed hat is extremely lightweight, breathable and . 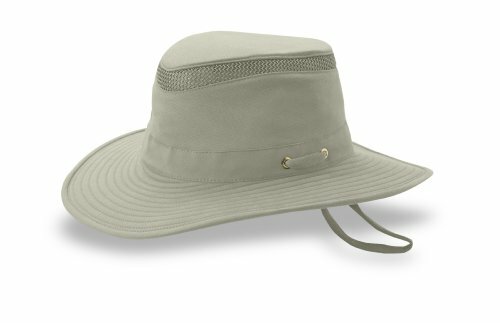 The wide down-sloping brim affords excellent protection from the elements - rain or shine (UPF 50+), while the 3/4" mesh panel in the crown provides superior ventilation on hot days or during strenuous outdoor activities. Organically grown cotton requires no toxic chemicals, synthetic fertilizers or pesticides to produce, and the fabric has a soft, yet rugged, sueded finish.